If I could I'd be traveling all over the world. Seriously! I get so inspired by foreign architecture and customs. 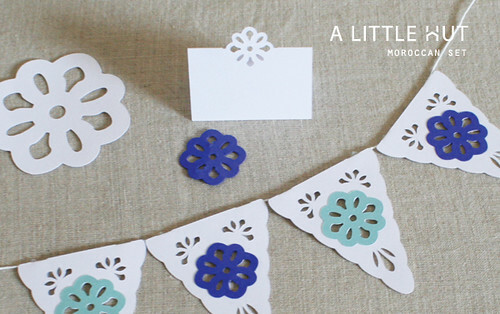 So here is my tiny attempt at using that inspiration and bringing it to our paper world. 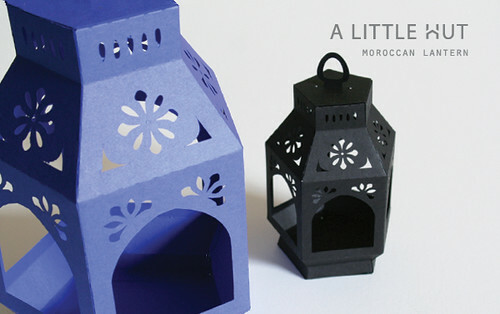 Here is the latest: a Moroccan Party Set—I specially love the lantern. I went through a couple of revisions of the outside shape and I finally got it to where I was happy with it. 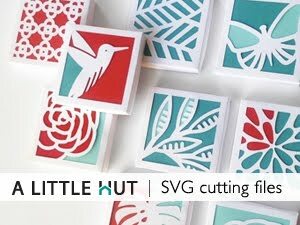 The cut out designs match one of the holiday ornaments. I did that so that, those of you that already have that set can use the matching ornament as a mobile decoration or additional table decoration. I like (and plan it that way) that my sets can be used with one another. I made this pennant banner rather small but think of it four times as big. It would look really festive! 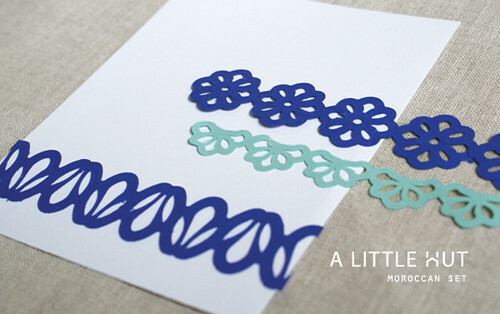 If the place card is cut in half it could also double as a gift tag (you know I love those!). I included some borders too. You can do so many things with them: embellish stationery, menus and scrapbook pages, wrap gifts, make fancy bows, wrap invitations, etc.—seriously endless possibilities. They can also be added to a larger lantern base for added decoration. Bold colors like turquoise, raspberry and orange would all be great additions to this set. Do you see it? Fun, fun! My little C is asking for a purple lantern to play with. She wants me to add fake yellow flames in the middle to pretend it is a real lantern. She's too cute. The Moroccan Party Set is available in the shop now. Circle of Moms has nominated me for the Top 25 Creative Moms. If you have a minute I'd love your vote. I posted this on Facebook over on Friday and since then I've realized that everyone can vote once every 24hrs until March 17th. Don't worry this will be the only announcement I make. If I don't make it, so be it. Thank you so much for your vote! And thank you Circle of Moms!